The SIM Card Slip Wallet is an ideal pack for a simple no-nonsense Card package. 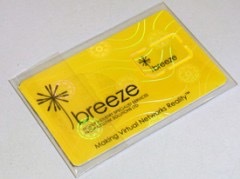 The SIM card, Top-up card and other literature are combined in one single clear pocket with graphics displayed through the clear pvc outer. Can be sealed with a printed or plain security label.